A conical burr grinder is a type of coffee grinder which uses a burr to crush the whole coffee beans between a stationary surface and a moving grinding wheel. The Conical Burr Grinder uses a slower rotation than the wheel burr grinder, and is more expensive, but less noisy and messy, also better at handling oily or flavored coffees without clogging. They are frequently included in mid-range to high-end espresso machines because of this. In contrast with disk-type burr grinders which operate at 10,000 rpm to 20,000 rpm creating a higher degree of warmth in the coffee, conical burr grinders operate at about 500 rpm. The design of the steel burrs on a conical burr grinder permit a high gear reduction that slows down the grinding speed, imparting less heat to the ground coffee and providing the finest and most consistent grind, which is optimal for preserving the coffee’s aroma. In addition to using a slower rotation than the wheel burr grinder, the conical burr grinder is less noisy and messy and also better at handling oily or flavored coffees without clogging, though it is more expensive. The best conical burr grinders allow extra-fine grinding suitable for preparing Turkish coffee. The hopper is the part of the coffee grinder that holds the coffee beans during grinding. 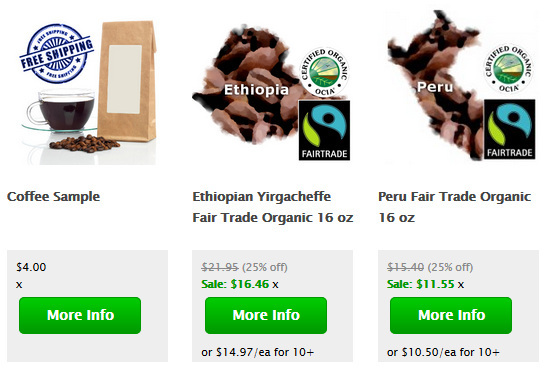 To see comprehensive gourmet coffee flavor profiles see Gourmet Coffees. We also provide step-by-step instructions on making delicious espresso drinks – see Espresso Drink Recipes, Pulling A Perfect Espresso Shot and How to make Lattes and Cappuccinos. 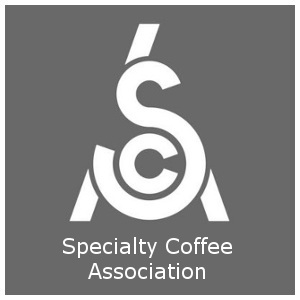 For detailed definitions see the Espresso Coffee Guide’s Coffee and Espresso Glossary.